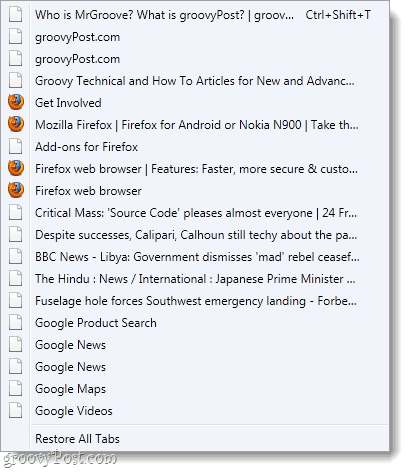 By default Firefox 4 will keep track of your 10 most recently closed tabs. 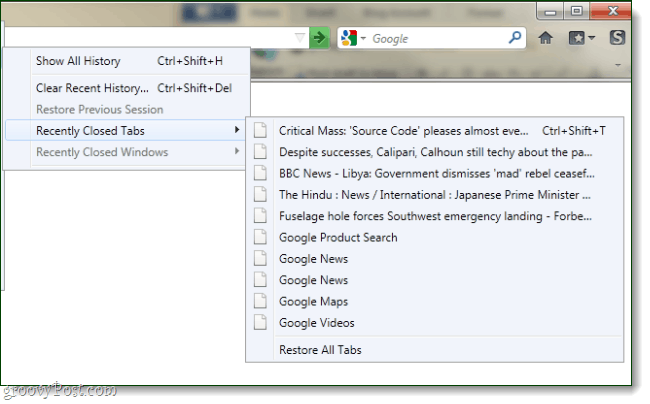 This feature comes in handy when you accidently close tabs, crash your browser, or restart your computer. Should Firefox completely close or crash, sometimes the Restore Session button will work –but that still requires you to completely shut down Firefox, which isn’t groovy. If you’re like me, you rarely open a link without it being in a new tab. With that pattern of browsing behavior it is easy to have 20-30 tabs open at once, and the measly 10 tabs in your history won’t be enough to fully recover should an accident happen. Let’s change that and add more tabs to this list! 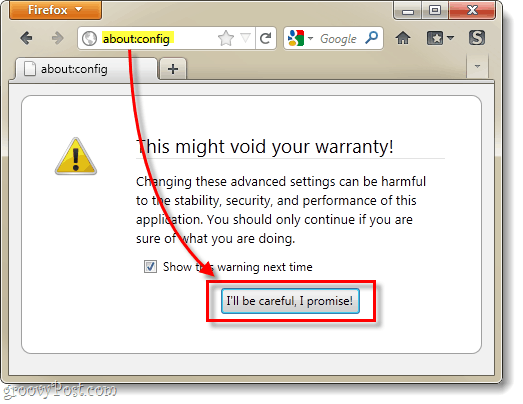 In Firefox, Type about:config into the address bar and then Click the “I’ll be careful, I promise!” button below. Don’t worry, this is just a warning page to let you know that if you incorrectly edit the config it can seriously mess up your copy of Firefox. Now Right-Click the preference that shows up on the list below and Select Modify. The default value here is set to 10, which for some people is more than enough. But, as said you might need more (or less) so you can set this to any number you want, though Firefox has another setting that makes it max out at 50. Now your closed tab history can get as big as you set it to be. 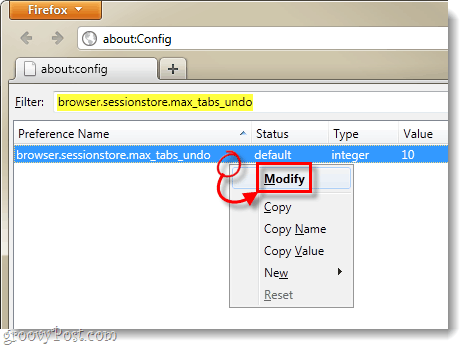 If you’re not a tab maniac, setting this to a lower number could make it easier to manage. But likely you’ve set it to a higher number and now you’re prepared should you or anyone else at your computer go on a tab killing-spree. I had gone back to Chrome after becoming too disgusted with Firefox last year. Microsoft forced me back and I had to download 4.0. If I hadn’t come across your posts I know I would have gotten annoyed enough to toss the whole shebang out the window. I’m glad there are computer geeks about – no offense.